Since this is my first blog entry for OTP, it only makes sense to explain how I got here, and why it’s worth it to keep reading. This article is about my path from your average, everyday physical therapist and strength coach to the co-author of a published book right here at OTP. But at its core, this article is about how the sometimes painful process of constructing this book provided my first true experience of mentorship and a PhD in what it means to give and receive coaching. First, a little bit about me personally. For the past 10 years, I’ve been a strength coach and physical therapist. Like most of you reading this article, I’ve tried to stay ahead of the curve with the latest coaching and treatment information. I’ve “invested in myself” by spending money on seminars, certifications, books and subscription sites trying to be the best coach that I could be. I’ve tried to make as big an impact as I could on the lives of patients and clients and carve out my niche in the strength and conditioning world. I always envied people like Dan John, or Mike Boyle or Kelly Starrett who were putting incredible information and content out to the world. They were respected . . . you could even say revered. I always marveled at how they could deliver such straight-forward and insightful writing, often to “right the wrongs” in the field. That’s what I wanted to do. So, I wrote some articles for friends’ websites. I had a blog with more months of inactivity than actual pieces of content. I wanted to educate and communicate with the world, but anytime I went online to write an article or do research, the firehose of information coming at me drowned my ambition. How could I ever compete with all of these people? What could I possibly add to the conversation? 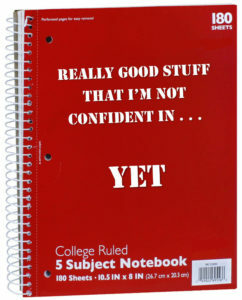 Imposter syndrome started to creep in, and I would return to writing my thoughts in spiral bound notebooks. It’s certainly never been easier to connect and communicate than in the internet age, but that comes at a mental cost. My Instagram feed has about 75 strength coaches, performance therapists and manual therapists who I follow. Every day I’m inundated with new exercises, treatments, assessments and insights to put into action with my patients and athletes. Taking all of the ideas from such a wide range of people and putting them into practice means some success and some failure. How is someone supposed to take so much collective knowledge and use it in any kind of way that doesn’t feel like a series of random “tests” to see what works? I went home and did a quick Google search to discover that I had just spent the night with one of the most successful and respected NFL strength coaches in the history of the league. Recognizing opportunity, I called him the next day and asked if I could continue to come sit with him and help in any way I could. Luckily, he obliged, and for the better part of four months I spent at least one night a week sitting by his side and absorbing as much wisdom and knowledge as I could. Throughout his more than 40-year career, he had traveled all over the United States to learn from successful coaches. He even traveled behind the Iron Curtain to learn from the Soviet sports scientists in their living laboratory of athletic performance. Whatever he learned, he would return home and determine how to fit the pieces together into a consistent approach to training. He will be the first to admit that he “broke more eggs than a baker” while making mistakes. The difference was, he was constantly stress-testing his methods and learning from those mistakes. Even in his retirement, with me peppering him with questions, he wasn’t entirely steadfast in his thought process. He was always patient. He was always open to suggestions or new ideas, and he never said “Jeremy, are you stupid or something?” Why would an icon in the field even let me pretend to have a thought that he hadn’t already heard or employed? One night he told me the story of the man who most impacted his career, Coach Gregori Goldstein, who was a former national Soviet strength coach who fled the U.S.S.R for America. 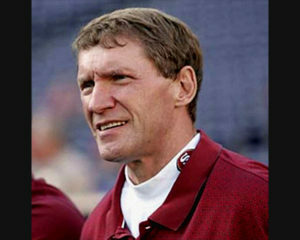 Coach Goldstein had looked at Coach Parker’s strength program, which at the time he was using in the NFL with the New York Giants . . . and ripped it to shreds. 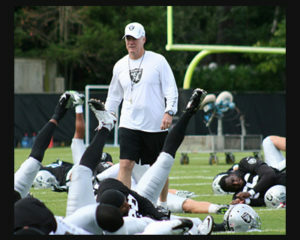 Coach Parker told me that at that point he realized he had to totally change his approach and mindset on coaching. From there, his success and impact in strength and conditioning exploded. The thought occurred to me that Coach Parker needed to write a book! How could all of this wisdom not be captured and dispensed to anyone working with athletes? Days passed while I worked to muster the courage to volunteer my services to maybe get him coffee or shuffle papers while he tried to put down his life’s work on paper. Then one fateful day in September 2016, he asked me if I wanted to help him write a book on the methods that he and two of his friends had developed and refined over their careers. I don’t recall if I fell off my bench or if I blurted out a panicked “YES,” but I felt I now had a mission. And there, I went straight out of the frying pan and into the fire . . .
Only grasping maybe 2% of what I was getting into, I accepted Coach Parker’s offer and assumed that even if nothing came of it, I would get a graduate-level education in strength and conditioning just by going through the process. Little did I know I was setting myself up for two years of work. If you’ve never written a book before, let me tell you . . . it’s just as daunting as you would think it is, and probably even more so. I was introduced by phone to Al Miller and Rob Panariello, both legends in the field in their own right, and set about planning and collecting interviews and information from each of them. Over the course of months, I was buried under information, stories, background and the mystery of the Soviet Union. My home desk was surrounded by spreadsheets, legal pads of sets and reps and intensity ranges, scribblings of my own thoughts and ideas and a stack of reference books and articles that threatened to crush me with any disturbance. As hard as it is to write down and organize your own thoughts, the difficulty increases exponentially when you add three other people, all of whom are thinking on a plane of thought well above your own. I won’t bore you with the gritty details on the process, but after two years, the hours of time I spent interviewing, writing, revising, rewriting and editing all added up to the book we were finally able to release, The System. To say that I learned more about strength and conditioning along the way would only do justice to one aspect of the experience. I started this article by saying it was about building The System, but really it’s about building a system for being a better coach. My ultimate goal in writing the book was to not only capture the life’s work of three great men, but to highlight what strategies I believe they used to become three great coaches and mentors. They are the same strategies that have been expounded by countless leaders, but having experienced them first-hand through this process, I think they bear repeating nonetheless. We are all scientists in the field of health and human performance, so any reasoning needs to start from a place of hard science. Beliefs are meant to be tested. In so many of the conversations I had with the coaches, they always began by referencing the science or work of some previous coach or group, and then spoke about what they found through the years of tinkering and testing their methods. Everything they recommended or espoused was something that withstood the rigors of the weight room and the playing field. I learned you need to start with a foundation before you expand your view. You will often find that you begin to see connections between other areas of study or different approaches. I started to see the connections between their methods training high performing athletes and my limited career working with injured and post-operative weekend warriors. The delivery or timing may be different, but the principles remain the same. This really goes right along with starting with principles, but I think it is important enough to stand alone. Why did I choose this exercise? Why did I settle on these sets and reps? Why do I give this cue or coaching emphasis? After working on this book, I felt like I had been sleep-walking through most of my programming and coaching. I was making decisions based off some other coach’s program, or what I felt like was the best option without putting any real critical thinking behind it. If you take nothing else from The System, I know that the concept of asking why and acting with intention will completely change the impact of your coaching. You don’t know what you don’t know, and the only way you are going to realize that is to find people smarter than you and learn from them. You could probably also learn from people not as smart as you, but for efficiency purposes seek out the best. Even when you manage to wrangle some time to speak or meet with a mentor, there is bound to be some friction. Despite their experience and wisdom, you won’t always agree with their process or approach, and that’s fine! For every point of instruction that I felt was outdated or something I wouldn’t feel comfortable doing, there were twice that amount that completely changed my perspective or enhanced what I already knew. No amount of time buried in the latest research or poring over books and articles is going to beat hands-on practical experience, and if you can get some of that by the side of someone who has already put in the hours, you’re going to be that much more efficient and effective. It’s the only true “hack” to accelerating your coaching abilities. This is probably the hardest lesson to accept and internalize. In a profession where the goal is bigger, faster, stronger, the thought of asking for help is probably more repressed than the thought of crying in front of people. Don’t let pride or ego get in your way. Something that all three coaches repeated over-and-over again is that it’s not about you, it’s about the athlete. We are all great at demanding our athletes to sacrifice and put the team first, but too often we fail to admit that we may not have all the answers or that we might be in over our heads. Putting our feelings ahead of the benefit of the team and the athlete is the same type of selfishness we try to stamp out. In simple terms, we all need a coach. The best type of coaching builds you up, mentally and emotionally . . . and who doesn’t want/need that?!? Like recovery from addiction, the first step is admitting you have a problem. Then go find the people who can support and lead you, so you can better lead others. Humility is something that Coach Parker, Al Miller and Rob Panariello demonstrate in spades. There wasn’t a single conversation with them that they didn’t downplay any and all of their accomplishments and speak glowingly of all the people who helped them along the way. Don’t forget what your ultimate purpose is: to develop exceptional individuals in sports and in life. 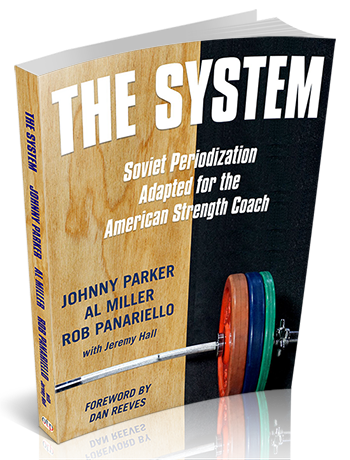 Whether you are a battle-worn coach who has been in the trenches for decades, or a young, hungry trainer trying to make your mark in the field, I hope that you take the opportunity to read The System. There’s more to being successful in strength and conditioning than just learning the science of strength. The art of coaching is woven so deeply into the collective wisdom of these three great minds, that I know you will benefit just as much as I have from not only their work, but their timeless guidance and insight as well. Jeremy Hall, DPT, CSCS, USAW, is a physiotherapist, strength and conditioning coach, writer, and founder of Total Performance Science and Mind of the Coach. He has worked as a strength and conditioning coach in the Philadelphia Phillies’ minor league system and with countless amateur and professional athletes in private practice for both rehabilitation and performance enhancement. 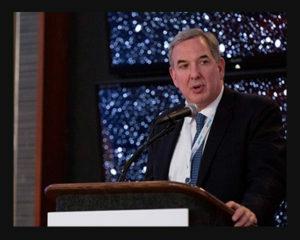 He has also taught at the graduate level at Nova Southeastern University, lecturing on the integration of performance training techniques into physical rehabilitation. 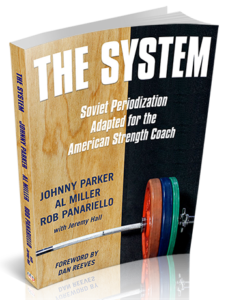 In The System, the authors lay the foundation for a scientifically based, field-tested, and effective system of training using periodization with sport athletes for both strength and conditioning.